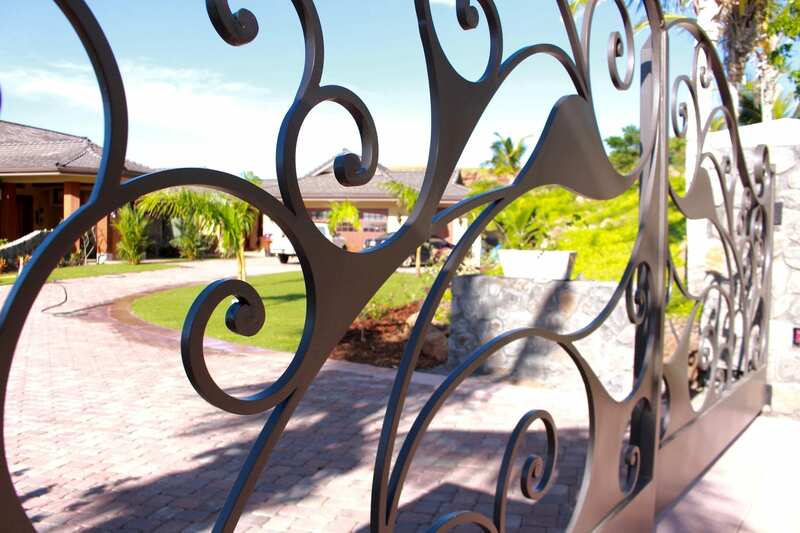 Welcome back to another installment of our blog series “Featured Projects”. 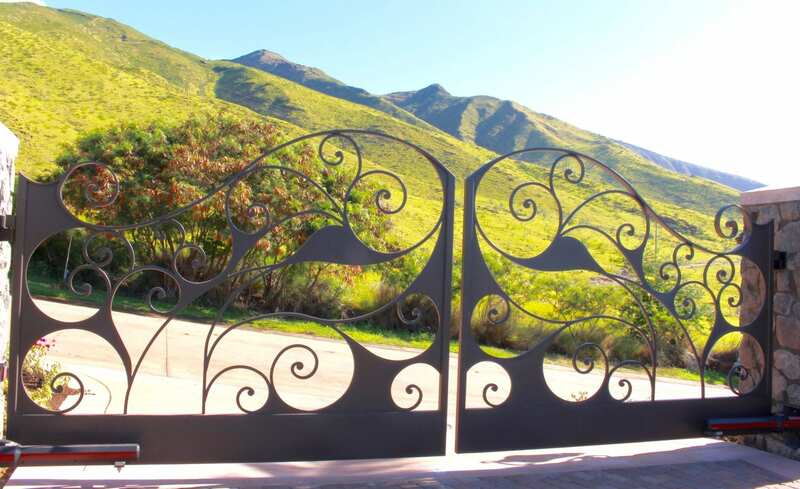 Padilla Designs forged steel collection is a simple and cost friendly way to design a beautiful gate without compromising durability and style. 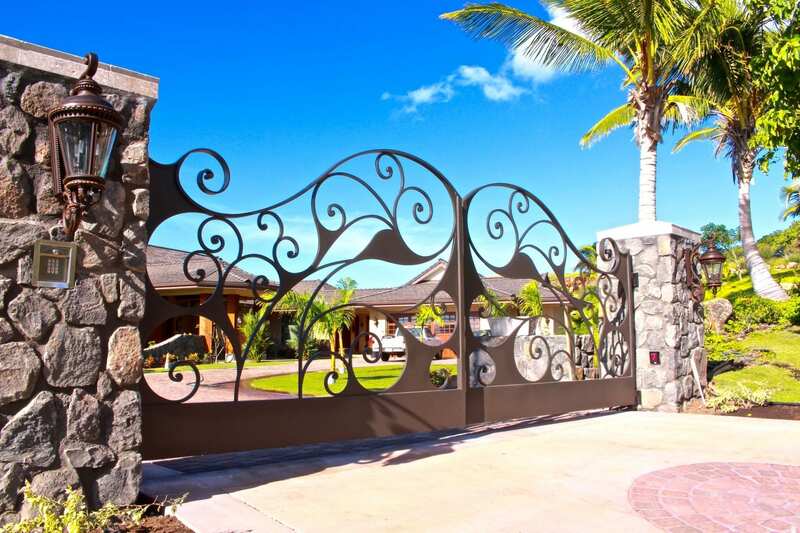 We can customize a wide range of simple yet elegant designs. 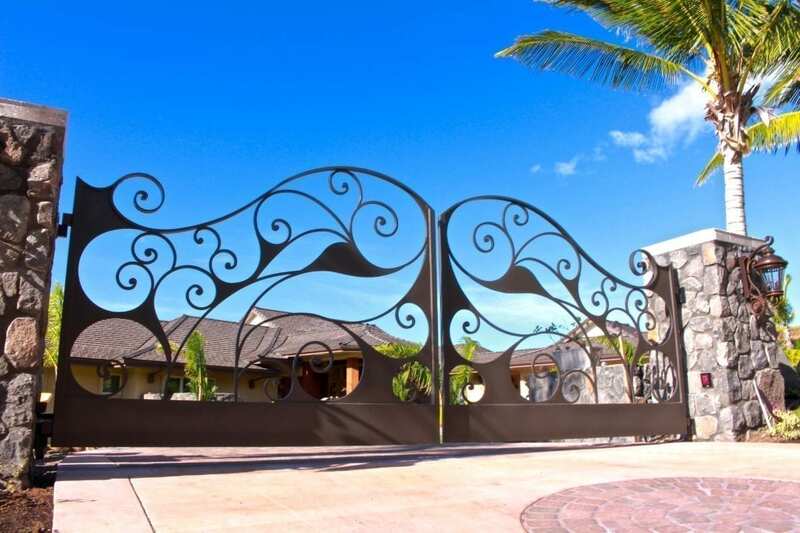 This gate is a forged steel design with silhouettes of dolphin tails. Can you see them? 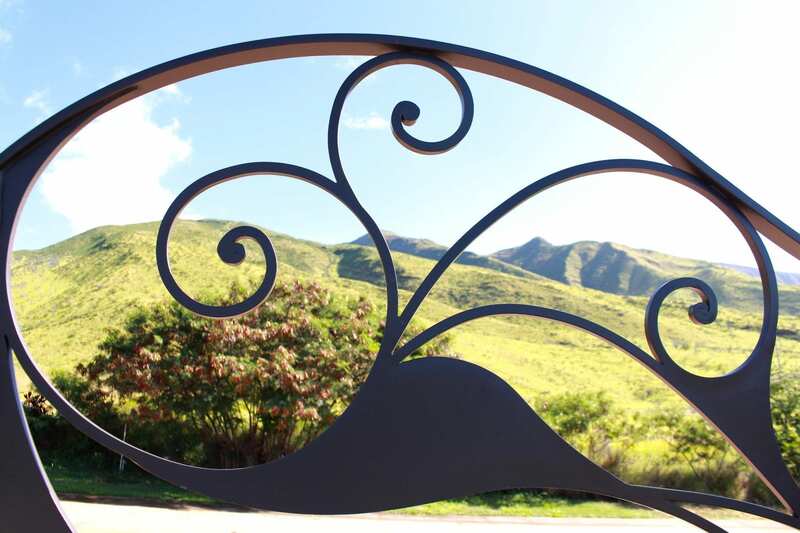 It has a powder coat finish and is installed at a private estate on the slopes of the West Maui mountains. 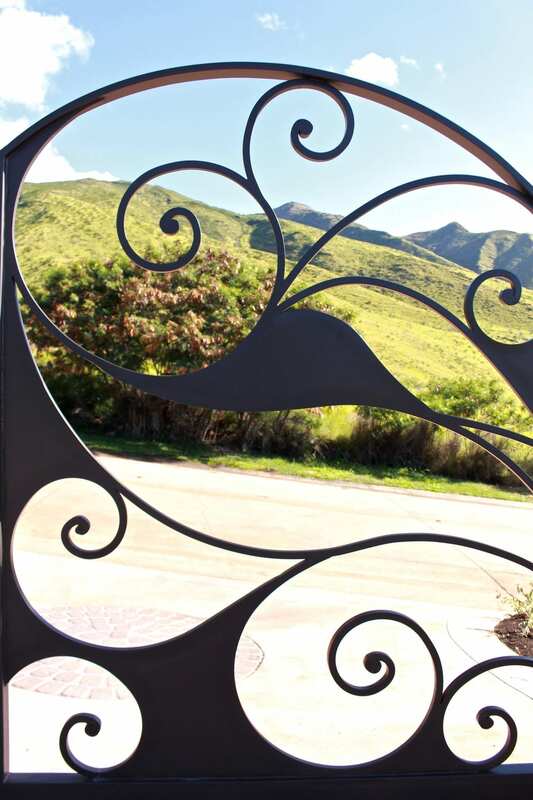 Check out some of our other forged steel designs.